For optimal performance of your Novus Professional Stapler, we recommend using Novus Premium Staples. These staples are manufactured using thicker gauge steel than standard staples and are precision formed to prevent binding in the machine. Using Novus Premium Staples will not only ensure trouble free operation, but they will also protect your warranty. 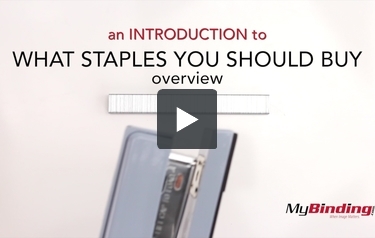 To demonstrate their capabilities, a box of Novus Premium Staples is included with every stapler purchase. However, Novus staples are available in a number of styles and lengths to fit your particular stapler. This stapler also comes with a small box of staples, so you are ready to start stapling. Check out all the options today.